Puccini’s publisher tried to prevent him from adapting Abbé Prévost’s L’Histoire du chevalier des Grieux et de Manon Lescaut – Massenet had already created a highly successful opera based on the novel. But Puccini was not to be dissuaded, claiming ‘a woman like Manon can have more than one lover’. 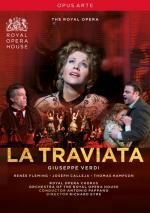 ‘A toast to the pleasures of life!’ – so sings Violetta, her new admirer Alfredo and her party guests in the opening scene of Giuseppe Verdi’s La traviata. But beneath the surface glamour of Violetta’s Parisian life run darker undercurrents: her doomed love for Alfredo and the tensions the lovers encounter when they break society’s conventions. Following the spectacular failure of his second opera, Un giorno di regno, Giuseppe Verdi vowed never to compose another. But he was lured back to the theatre by Bartolomeo Merelli, the impresario of La Scala, Milan, with the commission for Nabucco. The resulting opera was a triumph – first performed in 1842, it was revived the same year with a run of 57 shows. 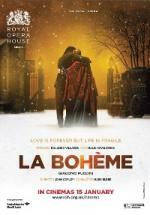 La bohème got a lukewarm reception when it had its premiere in 1896, but its fortunes almost immediately changed. Giacomo Puccini's romantic depiction of bohemian Paris, with memorable music and a love story drawn from everyday life, has captivated audiences round the world, making La bohème one of the best-loved of all operas. 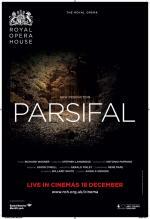 A new production of Parsifal, Wagner’s huge, profound meditation on guilt, death and possible redemption, is always a remarkable event. This one, directed by Stephen Langridge, designed by Alison Chitty and conducted by Antonio Pappano, the creative team who brought Birtwistle’s brutal, beautiful Minotaur to the stage, is especially exciting. 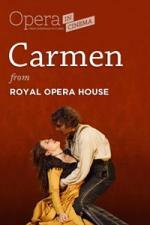 Carmen was based on a popular novella of the same name by Prosper Mérimée, which enticed French readers with exotic tales of Spain. Its heady combination of passion, sensuality and violence initially proved too much for the stage and Georges Bizet’s opera was a critical failure on its premiere in 1875. 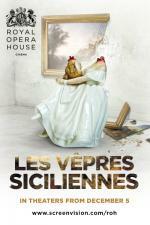 The Royal Opera presents Verdi’s grand opera Les Vepres Siciliennes for the very first time – and in a major new production. 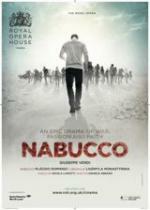 Antonio Pappano conducts a star cast that includes Bryan Hymel, Marina Polavskaya, Erwin Schrott and Michael Volle. 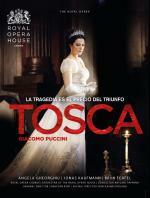 From its famous, dissonant opening chords, Tosca conjures up a world of political instability and menace. The Chief of Police, Scarpia – one of the most malevolent villains in opera – ruthlessly pursues and tortures enemies of the state. 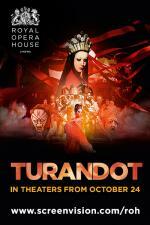 The Royal Opera House Live Cinema Season gets off to a dramatic start with the return of Puccini’s musically sublime final opera Turandot – a tale of disguised identities, riddles, ritual executions and powerful, triumphant love.